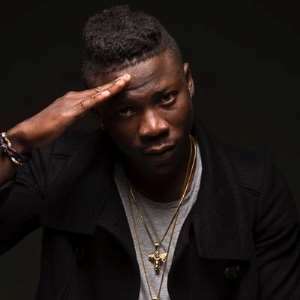 Ghanaian Afro-pop, dancehall and reggae artiste, Stonebwoy, in a recent interview stated that MUSIGA President Obour hasn’t done a lot for the music industry. According to Stonebwoy, Obour could have done more to help the artistes in the industry. In an Interview on GhOne with show host Serwaah Amihere, Stonebwoy commented on life after marriage, music career and what should be expected in the coming years. The “kpookeke” hitmaker mentioned that life after marriage has been exciting. “My wife has been an amazing woman. She has been very supportive and I admire her for that. My wife is the quiet type and I am more out there, so you know, we are so different in character but that is what makes us click a lot,” he stated. In his final statement, the Bhim Nation president stated that, if he wasn’t doing music he would have become either a Lawyer or a Doctor. Stonebwoy recently christened his new born baby boy.